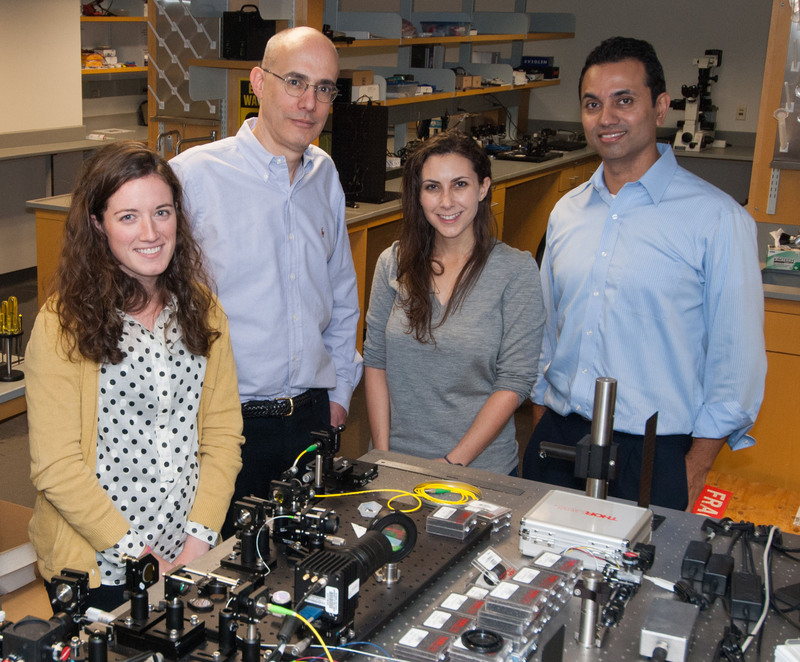 A team of engineers at Rutgers University in New Jersey, USA has recently described an innovative medical imaging platform that has the potential to help clinicians identify cancerous tumours in vivo without the need for an invasive and painful biopsy. The research was published last year in Nature Communications and a follow-up review paper has just appeared in the Journal of Materials Chemistry B. 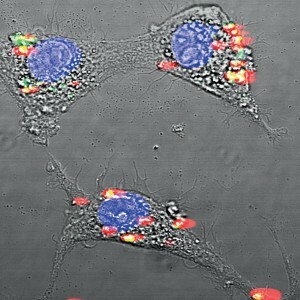 Lead researcher Dr Prabhas Moghe commented, “Our new mode of fluorescent imaging aims not only to reveal diseases earlier, but also to learn more about the diseases before performing surgery. I like to think of it as an optical biopsy.” So, how does the technology work? It utilizes a different form of infrared light than is currently employed for medical imaging. Instead of light in the near-infrared (NIR) spectrum, this new approach uses shortwave infrared (SWIR) light that is able to penetrate tissue more deeply: whereas NIR is limited to a depth of just 4 mm, SWIR light is able to be detected through 10 mm of tissues. The SWIR light stimulates dyes that have been made from nanocrystals of rare earth (RE) elements. These elements are members of a family of 17 similar metals that are not strictly speaking scarce, although they are difficult to mine. Electronic products such as video displays, smart phones and electric car batteries now constitute a significant and growing application of RE metals. The key to using REs, as these dyes are called, in medical imaging is to fabricate them at the nanoscale – crystals with sizes ranging from 11 to 110 nanometres. Thus far the researchers have shown positive results in laboratory animals by detecting the spread of cancer earlier than with MRI, which suggests the application to humans may not be too far away. 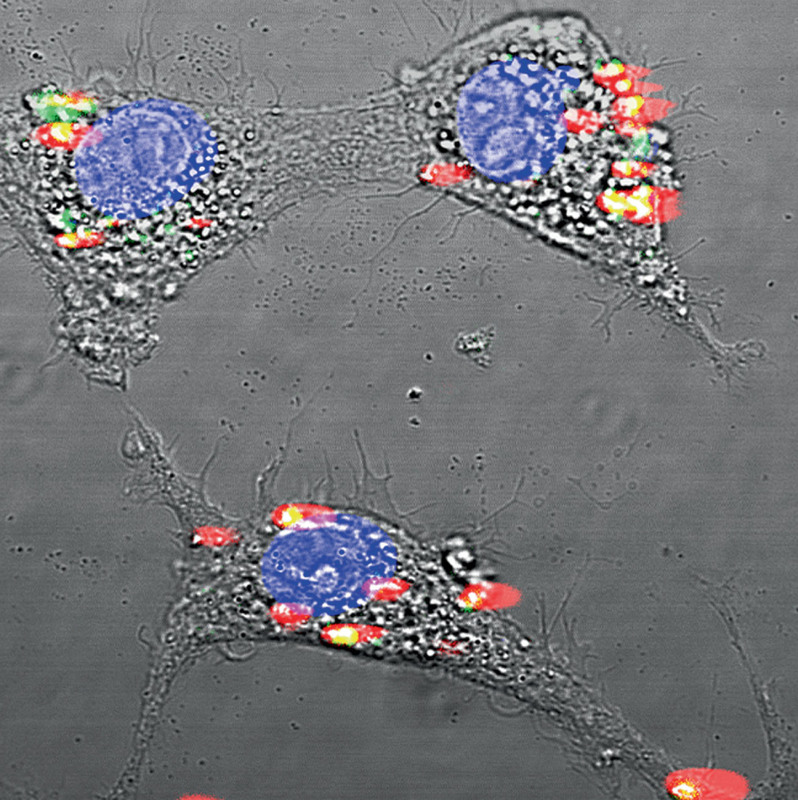 It is therefore conceivable that in the near future SWIR imaging, by stimulating nanocrystals specific for breast cancer, will be used as an adjunct to screening mammography. Bah, humbug. Rat research, and the latest cancer breakthrough since lunchtime. Most cancers are very subtle replicas of normal, and selective uptake of anything is unlikely.